Do you enjoy the music of Cockney rock duo Chas & Dave? Maybe you know the lyrics to all their songs and can name their albums? 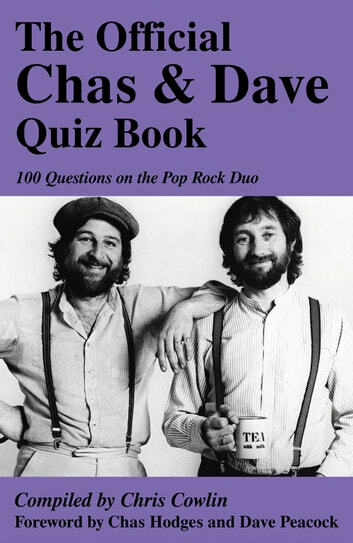 Then what better way to pay tribute to the ‘Rockney’ singers than with this quiz book?The 100 questions in The Official Chas & Dave Quiz Book are designed to test your memory of the events that have shaped the lives and music of two of the most popular musical entertainers to emerge from the ‘70s and ‘80s. Chas & Dave have a string of hits to their credit all injected with their own particular brand of humour. This book covers the early years, career highlights and all those unforgettable best-selling songs bringing the Chas & Dave story right up to the present day. Packed with so much information, you are certain to find out something you never knew about the popular entertainers. 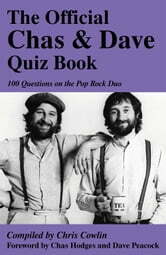 This book will appeal to Chas & Dave fans of all ages and anyone who has ever sung along to one of their songs.